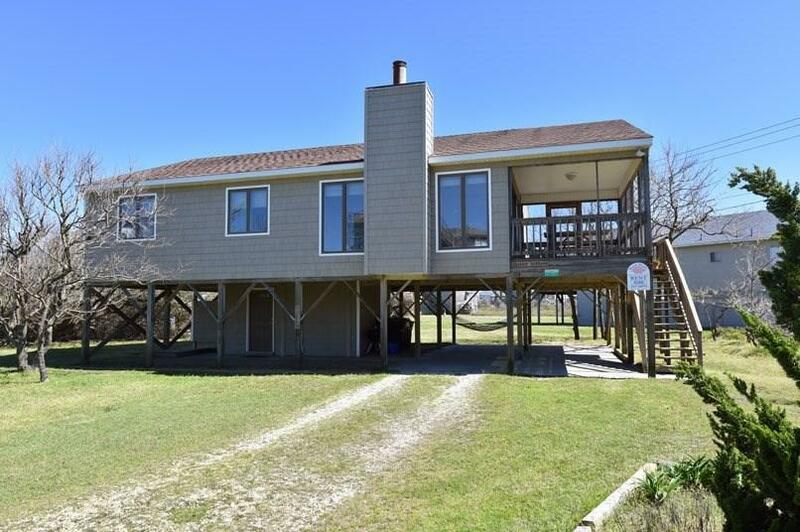 This well-maintained vintage beach cottage is just 125 yards from the ocean in one of the most charming communities on the Outer Banks. Sound-Sea Village is Duck the way is used to be: quiet, privately maintained gravel roads meandering past friendly neighbors, nestled between ocean and sound accesses. The beaches here are wide, the sandbar is epic and the research pier is the perfect walkable destination. An open floor plan means everyone is together for game night, cooking family meals, or cozying up by the fire on chilly fall nights after a fun day on the beach. The screened porch is the perfect place for dinner al fresco or a good read. The sunny west-facing deck means a warm place to soak in your Vitamin D or watch the stars. The lot has plenty of room for a pool or an expansion of this well-built 4-bedroom cottage. 2018 Taxes reflect combined Dare ($1984) and Duck ($950 & $625).